What started as a “home run” in the early signing period as described by Mark Richt turned into a flat-out win for Miami Hurricanes football on Wednesday. The Canes locked in what is currently the No. 8 ranked 2018 recruiting class in the country on National Signing Day – the first top-10 class for the program since 2012. Four players officially signed Wednesday morning, adding to the 19 that signed in December. Five-star running back Lorenzo Lingard, four-star quarterback Jarren Williams, four-star tight end Brevin Jordan, four-star defensive tackle Nesta Silvera, four-star wide receiver Mark Pope and four-star cornerback Al Blades Jr. highlight the class. Silvera announced his decision on national television Wednesday morning while putting on a Miami ball cap. 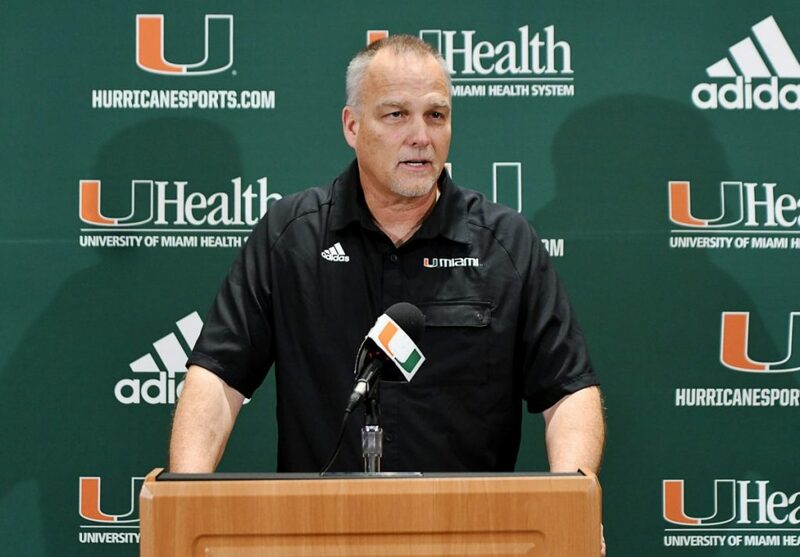 Former Hurricanes defensive tackle and current radio host Dan Sileo, who was a key component on the 1987 championship team, said he is “thrilled to death” about what Richt and his staff are doing for the program. Sileo is known as one of the strongest Miami players ever. He holds the program records for bench press and squat at 535 and 700 pounds, respectively. “They have to address the quarterback spot and get deeper in the secondary and the defensive line, but inside of five years, Miami will be in the title game,” Sileo said.